The study compiled information from academic papers, government and non-government reports on the subject of domestic migration, with a specific emphasis on their political inclusion. 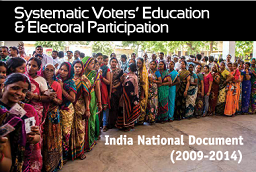 To meet the challenge of eligible and yet unregistered citizens and not- so-high voter turnout, ECI consciously introduced a process of dialogue with citizens. It started reaching out to citizens to understand what was stopping them from registering in the electoral rolls and voting. 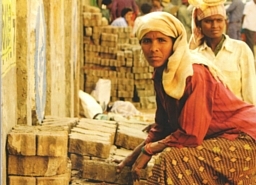 Ashwani Kumar is Project Director, Professor and Chairperson at Department of Centre for Public Policy, Habitat and Human Development, School of Development Studies, Tata Institute of Social Sciences, Mumbai. His areas of interest are internal migration, elections and migration, rights of migrants with a special focus on India. 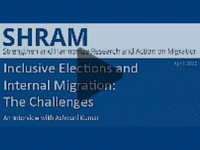 In this interview, Prof. Ashwani Kumar discusses the problems and challenges faced by domestic migrants in exercising their voting rights. He has further talked about how there is a data disconnect and gap in capturing the exact number of migrants and the patterns of migration. He has further shared some of the international experiences as to how some countries have given come up with different solutions so that domestic migrants can exercise their right to vote. Ashwani Kumar is Project Director, Professor and Chairperson at Department of Centre for Public Policy, Habitat and Human Development, School of Development Studies, Tata Institute of Social Sciences, Mumbai. His areas of interest are internal migration, elections and migration, rights of migrants with a special focus on India.